Listed below are some phone numbers and website links to other agencies and organizations in the area and statewide. 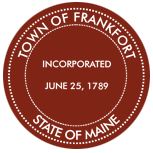 The links are provided as a reference only and the Town of Frankfort is not responsible for any content. Questions about content on a website other than ours should be directed to the manager of that particular site. Eastern Maine AIDS Network – HIV/AIDS Information and Testing Services. Senior Spectrum – Senior Spectrum has been helping individuals, families and communities in Central and Mid- Coast Maine for more than 30 years. An independent not-for-profit organization, we provide information and advice, solutions, referrals, and programs and activities for adults of all ages. Small and Home-Based Business Virtual Resource Library – University of Maine Cooperative Extension. Efficiency Maine is a statewide effort to promote the more efficient use of electricity, help Maine residents and businesses reduce energy costs, and improve Maine’s environment. Maine Recycles is a fun campaign to help encourage Mainers to recycle.